The time has come – you need to sell your house. And you need to sell it fast. Maybe you want to relocate due to a great job offer, but you can’t have two house payments. Or maybe you’re building the home of your dreams and it’s time to get rid of this one. Maybe you are ready to downsize and this house it just too much. Whatever the reason, you’re ready to get rid of your house and you don’t want to mess around. Selling your house takes some work. You’ve got to get it in ready to sell shape. You need to know some numbers to price it right. You need to stage it and sell it and all this needs to be done in a timely manner. Here are a few tips to help you (and the sale of your home) along. If you don’t want to mess around at all, you can go ahead and sell your house to a home buying business. 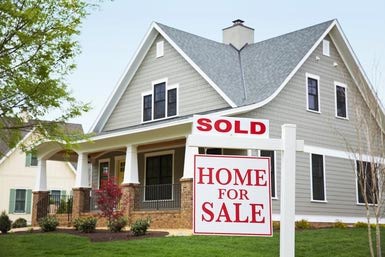 A house and real estate buying service will buy your home for you and you can wash your hands of it. It’s a fast and effective way to get rid of your house in a timely manner for a fair price. This type of business usually looks at your location, the condition of the house and the market conditions. Sometimes you can get market value, sometimes they need to add in a repair cost for the work they will put into the house before selling it. It’s a viable option to doing all of the work yourself. This way gets your house off your hands and leaves you to do what you’d rather spend time on. If you aren’t in quite as much of a hurry, you can try to sell it yourself or hire an agent. An agent will advise you on some staging strategies as well as list it for you. Depending on your preference, either of these can work well. Some people try for a bit to sell it themselves, to save on fees, but then if it doesn’t sell fast enough, turn to an agent for better luck. Make sure it’s priced right from the start. Pay attention to landscaping. Some colorful flowers or nice shrubs will fill in space and make the place look homey. Cut the grass and keep weeds at bay. Trim any shrubs or trees. Paint the front door. If your door is looking a little shabby, a fresh coat of paint can do wonders. Also make sure your front steps are clean and in good condition. A nice new welcome mat is a nice touch. Hide trash cans. If your trash and recycling are in view, put them in the back or behind something. No one wants to see trash when they drive up. A little interior appeal will go a long way, too. You probably don’t want to spend a ton of money or time on this, but a few things can go a long way. Declutter and depersonalize. Get rid of all the photos on the fridge and the knick-knacks from vacation. The less personalization in your home, the easier it is for the new buyer to envision themselves there. Also, get rid of the clutter. The papers and magazines, books and projects. If you need to, rent a storage unit, but just unclutter. Freshen up. If you can, a new coat of neutral paint does wonders. New fixtures are an inexpensive, easy update. New towels in the bathroom or air fresheners work well to make things look new and fresh. A clean house will sell well, even without updates. Clean, clean, clean. And clean some more. Selling a house is stressful. The quicker you can get rid of your house and move on, the less stress you’ll experience and you can enjoy your new place. Good luck!